Child Injured in a Car Accident? 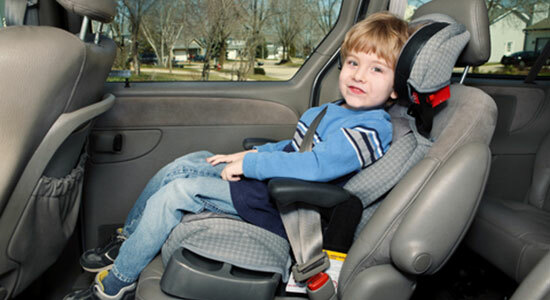 Did Your Child Suffer Injuries After a Car Accident? Car accidents cause thousands of painful injuries each year, but not many of those can compare to the agony you feel as a parent if your child is hurt in a crash. You might feel guilty that your family was injured. Your child may be afraid of riding in cars. They might lose sleep. Whether your child is stuck in the hospital or bed-ridden at home, you have a lot to deal with. On top of seeing your son or daughter suffer with an injury, you have medical bills and insurance paperwork to add to the issue. Between these hassles and taking care of your child, you may miss time at work. It may feel like the world is crashing down on you, but there is hope. You may have a case, and Edgar Snyder & Associates is here to help you during this difficult time. We handle the hassles while you focus on your family and their wellbeing. Most importantly, we take the stress off your shoulders and fight to get your family the money you need to secure a stable, worry-free future. For over 35 years, our highly rated law firm has represented thousands of children injured in all types of accidents, and their families, get the money they need to move on with their lives. We investigate and gather evidence to build the value of your case. We stand up to the insurance companies that don't have your child's best interest in mind. We deal with the medical bills and paperwork hassles so you can focus on taking care of your son or daughter. We track deadlines and answer your questions. And as always, there's never a fee unless we get money for you. It's quick and easy, and there's no obligation to use our services. But remember, evidence disappears quickly, and there are time limits to file a claim. Contact us today, and we'll help ease the burden on you and your family.